I travel a lot, and I don't always have access to emails, so please be patient once you send me booking request. I treat others the way I like to be treated. Look at the bottom, and I have plenty of testimonials from past tenants and repeat clientel. THIS IS NO SCAM, and trust me, in Las Vegas, you need to verify who you are doing business with. I am more than happy to disclose my business, my Facebook or Instagram, and who I am before you make any payments to me. This is a million dollar strip view ONE BEDROOM condo, and I really take care of my investment. When shopping around don't fall for common bait and switch. My unit is STRIP VIEW (not mountain view), 950 sq ft, one bedroom, two bathroom Million dollar unit...NOT A JUNIOR SUIT which is basically a studio. Rates start from $135/night...and I don't do bait and switch like others. During slow season is $135/night..and obviously during busy season or peak time, the price is much higher. My rates are usually the lowest, but I am very picky on who I rent to. NO SMOKERS, NO PETS, NO CRAZY PARTIES, NO DRUGS. IF you are found with drugs or smoking inside the unit OR in the balcony of the unit, you will instantly be kicked out, with ZERO REFUNDS. NO exceptions to this rule. Mgm Signature DOES NOT clean my unit, I use outside cleaning company that is very reliable and efficient. Please contact me for additional cleaning requests. I have chosen to keep the same quality products or higher than those offered by the hotel in all of our suites. I use outside housekeeping company that services our suites exclusively. As owners we are very focused on providing immaculate suites to our guests. The company I use is an excellent company and has serviced my clients above and beyond their duties. High quality bed linens, towels and robes provided from the same source as the hotel. Upgraded amenity products in the bathrooms feature products from Gilchrist & Soames. Top brand coffee in all of our suites in place of the generic hotel brand. ALSO, I am able to get you into popular night clubs and pool parties without standing in line sometimes I can get you in without paying cover....EXCEPT BIG HOLIDAYS like NEW YEARS AND LABOR DAY WEEKENDS. Please do not called from a blocked number when you contact me once you book with me. (925 Sq Ft) with balcony facing the grand strip view. fitness center at no additional charge. I am a happily married man. I run/own a financial services company, and I have been working on Wall Street since 1997. I also own a film production company, and I direct/produce independent feature films, music videos, commercials, short films and this is one of my hobbies. I also love sports, and I play basketball, tennis, football and soccer. I workout with weights and run regularly, and recently added Yoga to my workouts. I don't drink, smoke or do drugs, but I do go out quite a bit to the night clubs and social events, because I love to dance. I use to compete in hiphop/freestyle dancing in my younger days, and I still love to dance. I work with my tenants like no other to make sure you have an amazing stay. Just read my reviews and you will get the idea. I have a huge repeat clientele, and it's important for you to know who you are doing business with in Las Vegas, as there are lots of scams here. If I don't have tenants the day before, I allow renters to check in anytime, and If I don't have anyone checking in the day you are checking out, I have allowed people to stay and check out really late, and I do not charge extra for this like others. Ron, the owner, was amazing and helped us secure our reservations without any stress or confusion! His condo was everything he described and more! It was clean and had ample room for a family of 4. Did I mention that it had 2 full bathrooms??? Made getting ready so much smoother and faster as well as making clean up, after a hard day of sightseeing, conflict free! :) The view from the balcony was a lovely bonus as well. Being able to easily walk to the MGM Grand without leaving cover, was a nice bonus as well. We had the easy access to be in a large Casino, yet be far away enough from it, to be quiet. We were able to use the washer and dryer in the room which made it nice to not have to lug dirty laundry home. We merely unpacked from our suitcase to our dresser when we got home! Ron also gave us great tips about the Grand Canyon. This will be our "go to" rental when in Las Vegas! I cannot stress enough how much we love Ron! He was so easy to work with! We had a lovely trip to Vegas and Utah. The view is amazing. There was lots of room to spread out. It was much more quiet a tiny bit off the strip. The floor itself was very quiet. We liked the option of using the tower pools which were quieter than the populated MGM pool. The owner was very personable and easily and quickly answered all of our questions. Found this rental online and booked it for the weekend before Christmas. The room was big and very clean. The owner is a very nice and honest guy, and responded to any questions I had. I will definitely stay here next time I come to Las Vegas! Wow! What a view. This was my husband's birthday trip and we couldn't have picked a better place to stay. 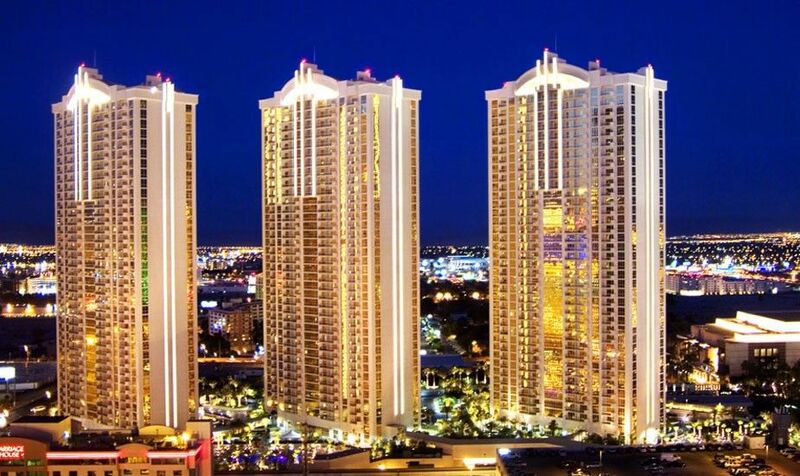 The condo is clean and modern with a fabulous view of the strip and sunrises over the mountains. It's close to the monorail which was so convenient and easy to use. Ron was especially helpful and we appreciated everything he did to help make our stay memorable. We will definitely plan our next trip to Vegas according to your availability. Thanks again. and Tom Colicchio, to name a few. Owner has contacts with popular night clubs, pool parties, and might be able to help you if you rent from him. Please call him instead of email for a quicker response. He gives higher priority to people he speaks to.